Dieting is not a popular topic around the holiday season; but perhaps with caloric temptations everywhere you turn, this is the best time to be thinking about it. Similarly, the holidays are a time of year when people tend to let themselves go financially, so a reminder about financial discipline might also be timely. After all, working toward financial goals is like dieting. I recently wrote about things that help me worry less about money, and one reader commented that what she finds comforting is being able to measure progress. That's a very good point, and it started me down the road to thinking about how working toward financial goals is a lot like dieting. Goals should be incremental rather than all-or-nothing. It's not so bad stepping on the scale when you first start a diet, because you can be comforted by the lofty goal of how much weight you intend to lose. The hard part comes about a week later when, after days of sacrificing and exercising, you find that you have only made one pound's worth of progress toward your 30-pound weight-loss goal. It's a little discouraging — much like your first year of saving for retirement, when you find that after a year of sacrificing part of your paycheck, your 401(k) balance is only $3,000 toward your goal of saving a million dollars. This is where incremental goals become important. If you know that losing a pound in that first week of dieting, or saving $3,000 in that first year of 401(k) contributions, is what you need to be on track to eventually make your long-term target, then you can take satisfaction from having met your goal for that first time period. From there, you set your sights on the next short-term goal. Be realistic about being better tomorrow. We tend to have this touching faith in how virtuous we will be sometime in the indeterminate future — people expect they'll eat less when summer comes or save more when they're in their 40s. But to make dieting or saving work, you can't lean too heavily on that future you. Chances are, that you will be no more up for the task than the current you, so make sure you do your share of sacrificing now. Build in room to be bad occasionally, within limits. Few of us — certainly not me — are built for living a spartan existence full time. Build the occasional indulgence into your diet or your savings plan. If you can limit such things by planning for them, you can give yourself a much-needed break now and then without completely blowing the good work you've been doing. Don't let one setback become an excuse for giving up. And then there are the indulgences that aren't planned. If that happens, the main thing is to bounce back strong. There is a tendency once you overeat or overspend to feel that now you've blown it and your original plan has become futile. Don't give up just because of an occasional screw-up. Make a new plan to get back on track. Hold yourself accountable. This is very important, because you can always find an excuse for bad behavior if you want one. Don't accept excuses. If you overeat or overspend, it is because you failed to live up to your responsibility to yourself, and you need to do better next time. Announcing your intentions can create additional accountability. Sometimes, telling people that you intend to lose 30 pounds puts the pressure on yourself to follow through — and it might even make others more sensitive about not putting temptation in your way. It's a little tougher to be so open about your financial goals, but simply mentioning to a few close friends that you are trying to save more money can have a positive effect on your behavior and theirs. Think of it as a lifestyle change, not a temporary project. I struggle with this nutritionally, but I am getting better. Permanently changing your habits can actually be easier than gearing up for occasional periods of good behavior because, with dieting and saving, it is easier to stay on track than it is to get back in shape once you've let things go. Nutrition is a very complex subject, and so is finance. However, while there are many nuances to be mastered, to a large extent a successful diet and a successful financial plan both come down to common sense and willpower. Best of luck to all of us for mustering both common sense and willpower as we head into 2016! How much of reaching your financial goals rests on your willpower or common sense? 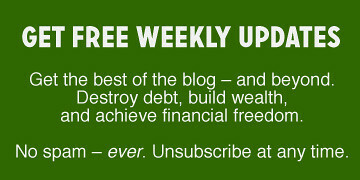 Is there something else that helps you pursue your financial goals? 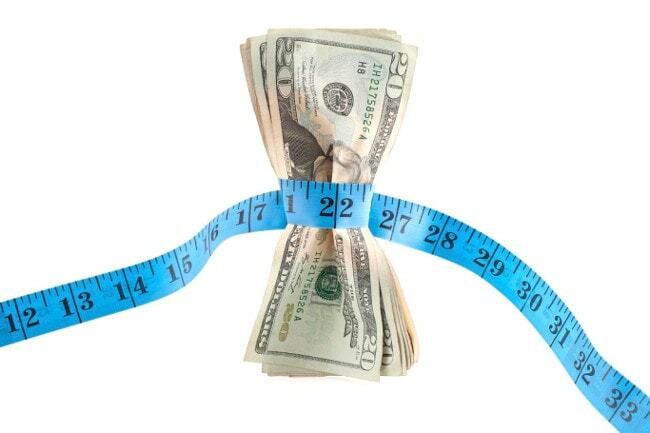 There are 5 reader responses to "7 ways financial goals are like dieting". Nice article !!! A good comparison. Thanks for reminding about the goals. #2 Be realistic about being better tomorrow: really hit me. That’s true, I expect that I can do too much in far future. Being realistic in present is more important. I won’t go as far as saying there aren’t similarities, but I will go ahead and play devil’s advocate for why finance is not like dieting. It’s a popular comparison in the PF world, and understandably, as it does hold weight ( *pun! * ), however there are major differences that can actually make binge-saving beneficial (in a way binge-dieting never is). You can continue to reap the rewards of binge-saving/ budget-starvation, long after the “diet” is over. While the threat of over compensating is there, if you can overcome the temptation, there is true value to periodical radicalness. I am probably biased since extreme financing (is that a thing?) is a sport to me. I enjoy the thrill of meeting a seemingly impossible challenge. Keeping an even method is not bad, but sometimes I find I get more of a result (and more motivation) with the marathon saving and it keeps me engaged. Starving yourself for the 1st Â½ of your life, and gorging yourself for the latter would probably result in your being unhealthy the entire time. In finance it’s perfectly reasonable to gorge on your savings/earnings later in life (or after each goal), if you can afford to. IMO finance for the most part, is not a lifestyle change….most of us perform today, specifically so that we can have a lifestyle change in the future. The hope for change (whether for more security, or the ability to spend more on wants) is what drives most of us. Right now I’m in hyper-saving mode, but only because I don’t want to be in saving mode forever. There are so many things I’ve done in my PF life that would probably have killed me off long ago, if applied to dieting. In this case, what didn’t kill me definitely made me and my finances stronger. I disagree. As someone who has struggled with both weight loss and budgeting for a large portion of my life, I have always seen tremendous similarities. The result of your budgeting and dieting may be completely different, but the process is so similar. In both cases, you have a finite amount that you can “spend.” (I’ve done Weight Watchers a lot, where we have a set number of points to “spend” in a day.) The less you “spend,” the more successful you will be. In both cases, we tend to want the all-or-nothing deal…lose weight and/or get rich quickly! In reality, both require daily small efforts and goals. The author nailed it, and I couldn’t agree more! It doesn’t have to be an either/or. I agree there are many similarities, and I experience success on both fronts by aiming for good habits that let me meet my goals. However, I also agree that personal finance challenges can be fun and motivating but dieting challenges would be unsafe for me. Maybe the flaw is in the comparison — what would happen if we equated saving for a big ticket item or paying off debt with training for a marathon or cycling vacation? Both are short term goals if you want them to be, and require the underlying foundation of healthy habits. I agree with these comparisons completely. Especially the “don’t let one setback be the excuse for giving up.” That’s my biggest hurdle with both finances and fitness.